Now that the shiny new Nintendo Switch is out, it's time to put a bunch of accessories to the test. If you're curious how some third-party (sanctioned or non-sanctioned) peripherals measure up, check out the list below, which will be updated as my gear comes in. First up is part of the PowerA line, which is pretty understated at the moment and decidedly cosmetic -- a travel kit, and a case. The Wii U case served me well when I brought over the clunky console ensemble to a friend's house constantly for speedrunning competitions, given its massive tablet that's separate from the system itself. But for the Switch, you likely aren't going to be packing it up at all unless you're actually doing the driving, as the tablet is perfect for road trips and plane rides. Still, I can see myself taking it to LAN parties just to protect the unit and the fragile dock, and load up some extra controllers in there. It's well-crafted to the point where you don't feel like your Switch is going to break if you drop it, and padded on the side. Plus the design looks official, and holds a Pro Controller on the right. With friends already planning LAN get-togethers for Mario Kart 8 Deluxe and Splatoon, I'll be using a travel pack -- just maybe not as much as I did for the Wii U. The Hybrid Cover Switch case's minimal design as a stand actually turned me onto it, especially since the soft surface can grip just about anywhere. I found myself taking it upstairs for a bedroom test, and I'm pleased to say that it managed to stay put while holding the Switch tablet in the insert window. There's several angles you can place the window in just in case, and my wife and I had a great time playing Snipperclips with it, far from the reaches of the dock. 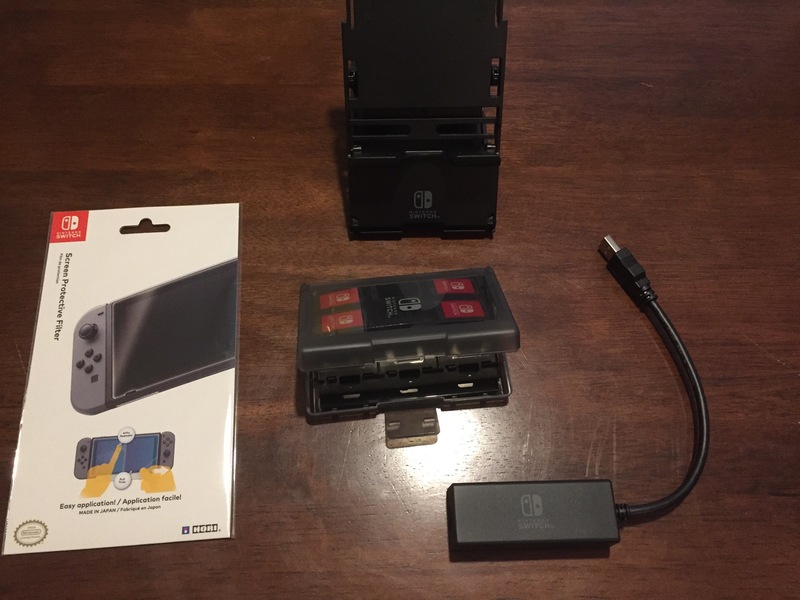 As you can probably surmise from the term "hybrid," it has another function -- you can stick it directly on the Switch screen as a case, which has a hole in the bottom of it (holes for every button actually) so it can charge on the go with an AC adapter and a USB-C cable. The big hangup is that with the briefcase-like cover entirely ensconced on the Switch, you can't place it in the feeble charging dock, so this is mostly a travel-centric case. The branded cleaning cloth is nice though, and again, I'll be using it more as a stand for specific areas of my house than a full-time (lover) cover. Just so you're aware, the included screen protector isn't as high in quality as a standalone (see below). This one is pretty straight-forward. SanDisk sent me a microSDXC card for testing for the Switch, and it worked perfectly. I didn't even have to format it, I just popped it into the Switch and it worked great. I feel like 200GB is the sweet spot. Nintendo states that the Switch will support up to 2TB, but those are not available in the consumer space yet. Once you start to get above the 200GB mark cards start to get more and more expensive, pushing well over $100 -- so this $80 option is a safe bet for now until higher capacity models are released, and subsequently cut in price. You can not only store games but screenshots as well, which can be transferred to a PC in seconds in bulk. As a note, just ensure that your system is completely off before swapping SD cards. Here's another easy one -- Hori sent over a game card case, screen protector, and PlayStand for testing, and they all basically do their job. The game card case reminds me of the one I got for Vita carts, as the flap to open the case is a little flimsy, but the cards feel snug enough to stay put and not so snug that they're impossible to get out. I dig the dark translucent design (so I can see what's inside), and 24 carts is more than sufficient to last through the year. The PlayStand, I found, isn't as flexible as the PowerA design (because it's plastic), but it does have one major advantage -- it's built so you can easily charge the Switch while you play it on the mounted tablet screen. Right below the stand is a spot for the USB-C cable to slot in and supply power, which is perfect for a plane ride. The three angles to slide the screen into are good enough, whether you're sliding back into your seat to get comfortable or leaning forward to avoid the kicks from the kid behind you that their parents are blissfully ignoring. As a rule, you're "supposed" to get a screen protector/filter for your Switch because the dock can scratch it, but I'm never going to in earnest outside of testing for assessments like this. I was just never one for screen protectors -- I've never used one, and I've never had a broken or scratched screen on any device, from mobile phones to gaming portables. Hori's protector slots on nicely and will avoid dust buildup, but I've just been using a cleaning cloth at the end of every week. They're super cheap, so it's your call, but it's just not for me (I mainly don't like the occasional sheen or the way it looks when using the tablet directly, but that's just a personal thing). As someone who once worked on networks and built computers for a living, I know people are going to have opinions on this. But based on my experience with the Hori LAN adapter, I did get a significant boost in performance from it. 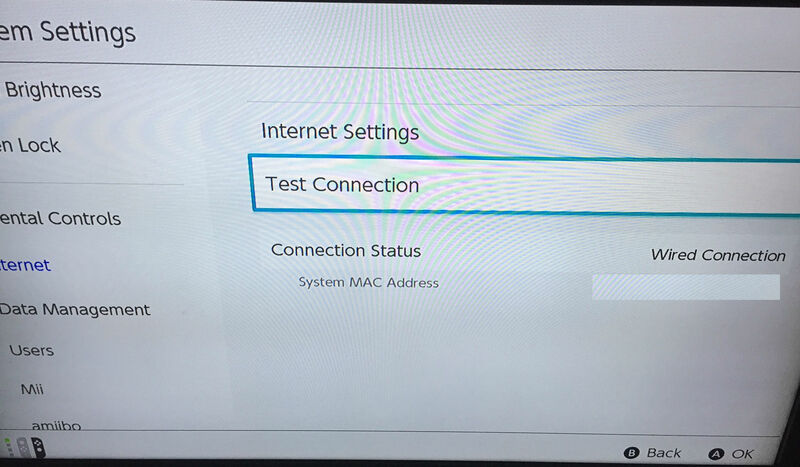 For one, the Switch officially recognizes it as a "wired" connection, which you can see above. 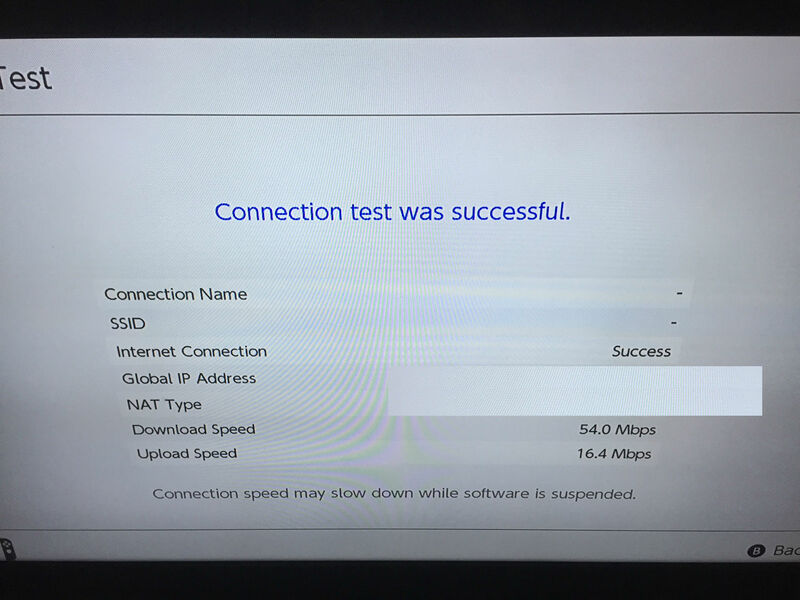 With a 100Mbps (that's megabits, lower case, not megabytes) top-end connection, with the Switch docked and on wireless, I was pushing 18.3 Mbps. 10 seconds later after hooking up the LAN adapter to the dock via USB (notice the lack of SSID to show that it's wired), it was 54.0Mbps. The device is as simple as that -- USB plug and play -- and I didn't have to turn off the Switch or do anything special, options-wise. 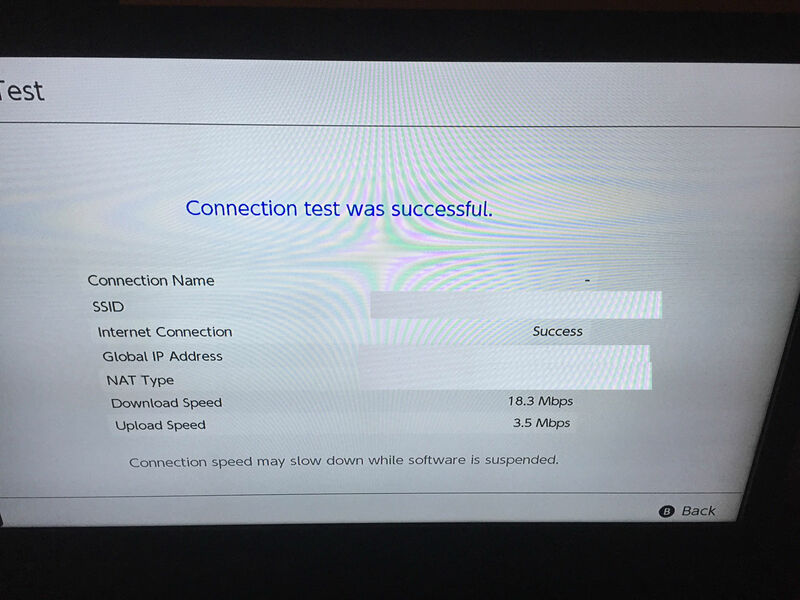 While plenty of you are going to pull more than sufficient download speeds over wireless connections (I mean, right now, you don't really need a blazing down/up for Bomberman R), I'll be using the LAN adapter for sure the next time I download a game over 10GB, or eventually play Mario Kart 8 Deluxe and Splatoon online. This dock is strictly USB, so your mileage will vary depending on where you want to house it. Initially I assumed it had its own power brick, so I could charge it cross the room in my favorite chair, like I do with an accessory for my DualShocks, so I can pick them up and play. 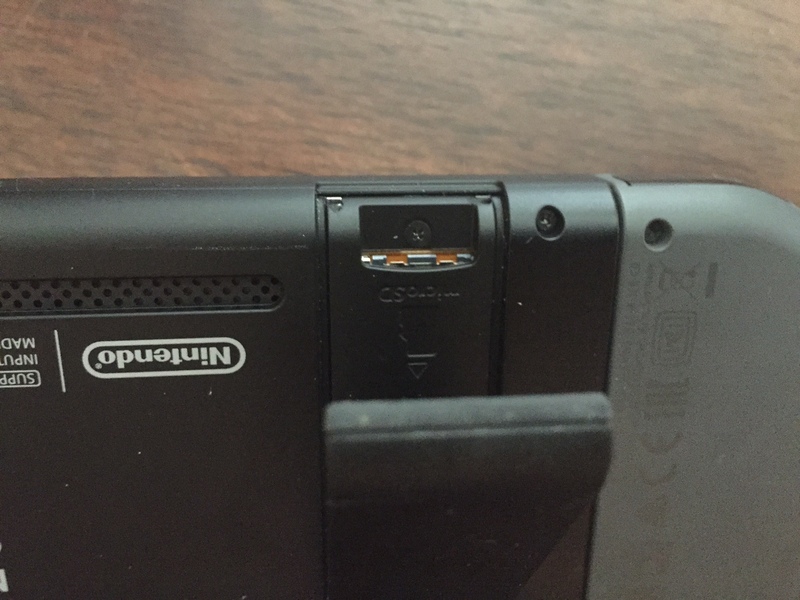 But since the PowerA dock is USB only, it's best to plug it directly into your Switch dock and sort of "extend" the amount of Joy-Con you can charge. It looks innocuous, even with multiple Joy-Con in it, and is close enough to the color scheme of the dock. Charge rates seem to be on par with directly charging it in the tablet, and each remote held their full charge during my tests. 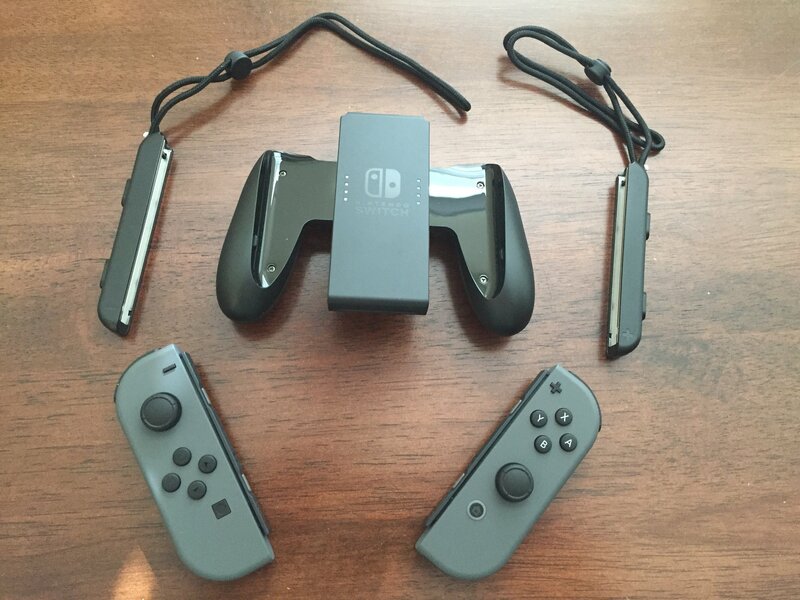 The main issue is that you're going to need at least three Joy-Con for this dock to be worth it. As-is you can just charge two in the tablet, docked, which is what I do every night and I have more than enough juice for the next day. If you live in a house with roomates or a big family and are annoyed that you can only charge two controllers at a time, it's worth it long term, since you can charge six in all with the PowerA dock and the tablet. Given the popularity of the Switch, a number of hardware companies reached out to have their products tested with it, and when a headset opportunity arose, I figured "why not." 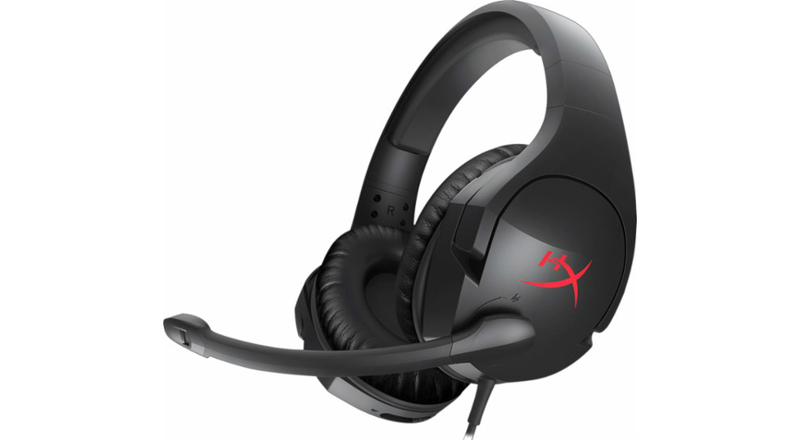 For $50 the HyperX Cloud Stinger isn't a bad option, as its cups were comfortable (perhaps it's the memory foam, but I don't know how long that will last) for long Zelda sessions, and the sound quality was on par with most of the headsets around that price range. 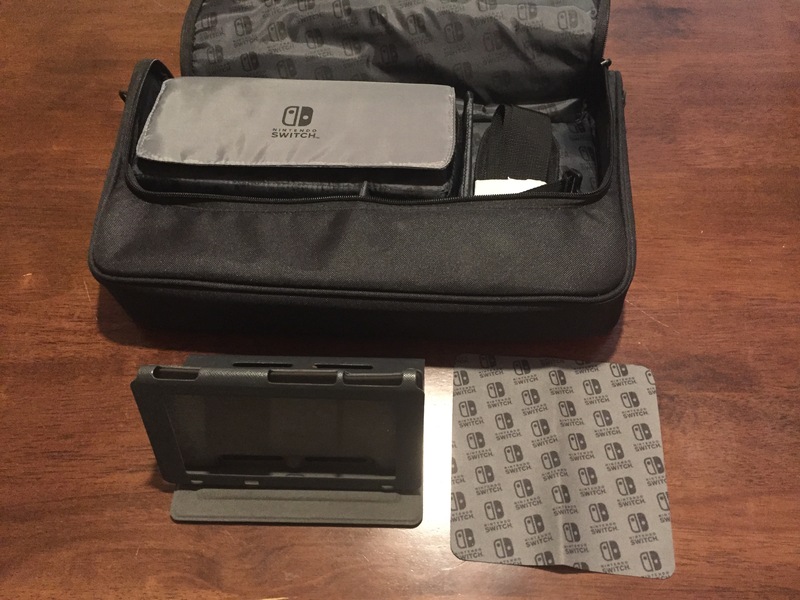 It's also extremely light, which has made it perfect for carrying along with the tablet in a backpack, or even the official Switch case above. The mic will also come in handy when more online games like Splatoon 2 hit. There's better, more expensive options, but I like having the HyperX as my go-to Switch headset. While I wouldn't go out of my way to buy another Joy-Con grip unless one owned four remotes, the PowerA model does offer more "comfort." than the standard boxed in model. 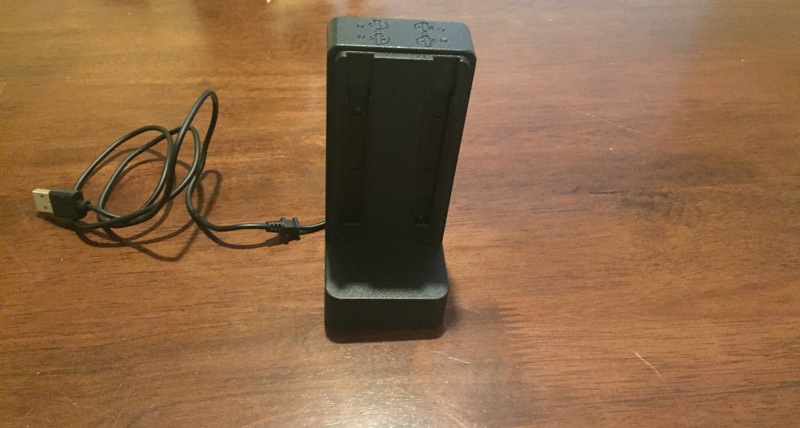 I mean, anything would be more comfortable than that cheap hunk of plastic, and I still can't believe that Nintendo didn't opt to pack the charge grip in with the system. 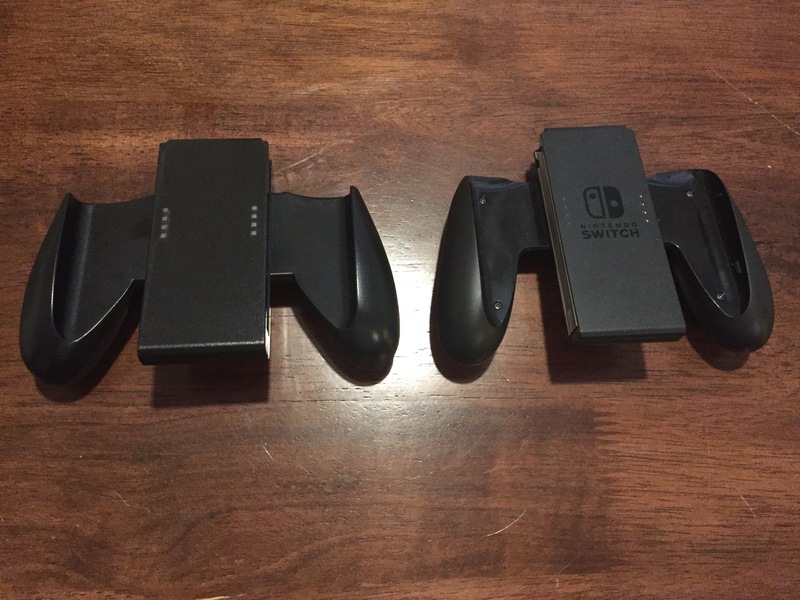 For those who aren't aware, there's multiple ways to play the Switch with the same set of included Joy-Con. You can use them as single tiny remotes like an NES, pop them both into the tablet to play it like a Vita, or pop both Joy-Con into a "grip" (read: a shell) to play a game like Zelda, which won't work correctly with a single Joy-Con (though I bet someone is working on a speedrun for a single Joy-Con up as we speak). PowerA's Comfort Grip is basically just another one of those. Hence, you don't really need it if you're fine with the standard grip and/or have a Pro Controller. But again, with four remotes you'd be able to create two Joy-Con grips, which can come in handy in the future.